I love book birthdays, don’t you? I only wish they came with cake. But I suppose with the sedentary reading lifestyle, it’s probably a good thing they don’t. Still and all, these new releases are absolutely worth curling up with a good cup of tea (or, in my case, coffee), even if you leave off the biscuits! A missing master vampire, presumed long deceased, is found chained in a pit…undead, raving mad, and in the company of two human bodies. 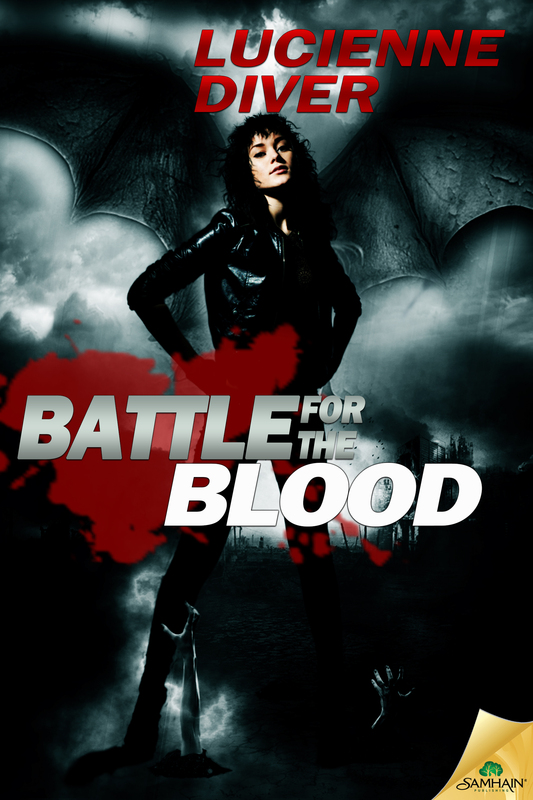 Now it s up to Jane to find out who kept the vampire hidden for so long and why, because the incident could tip already high supernatural tensions to an all-out arcane war. When Kate Reilly arrives in Long Beach, California, a week ahead of the Grand Prix, she’s immediately plunged into a new social scene—as well as a murder investigation. Her cousin Billy is found dead, with Kate’s card in his pocket. The cops want to know why, and sponsors and race organizers—anxious to keep racing’s image clean—want Kate to investigate. Doubting she can solve another murder, especially that of a relative she despised, Kate reluctantly agrees. At the same time, coaching a gorgeous and talented actress for a celebrity race brings Kate into the orbit of Hollywood’s hottest bachelor. And then a local FBI agent takes notice of more than her driving and sleuthing skills. She goes from Sony Studios to Venice Beach and from Rodeo Drive to the Hollywood Hills, attending parties, power-shopping, and dodging unwelcome paparazzi. Kate’s ballooning media exposure generates national commentary, testing her composure and forcing her to get ahead of the stories—whether critical or flattering. Kate’s professional dreams are also coming true. The upcoming Grand Prix is her first race with a new sponsor that’s also funding an IndyCar test drive and a ride in next year’s Indy 500—along with future possibilities in NASCAR. The downside? New sponsor Frame Savings is owned by her family, and its management, outside of her long-estranged father, is unfriendly to her…even rivalrous. Kate must stay on her toes as the Long Beach race weekend begins. She’s negotiating the next steps in her career, driving two racecars and coaching a third, discovering more about the disreputable members of her father’s family than she wanted to know, and juggling questions and suspects. On track, red flags fly to warn her of danger. 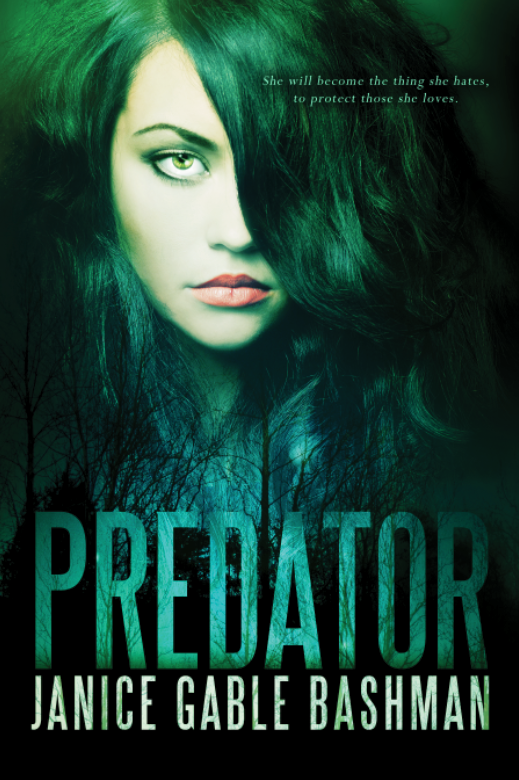 Off track, Kate struggles to interpret warning signs and stay out of a killer’s grasp. I know, I know, I missed blogging all last week. Apparently, it is possible to shut me up. It just takes a horrible sinus infection and a bout with pink eye to do the trick. After a week of antibiotics and ointment, it’s now possible for me to climb stairs without dizziness, breath out of both sides of my nose and even see straight. Wow, the things you take for granted on a day to day basis. Well, I’ve dealt with the past. Now on to the present – new releases! 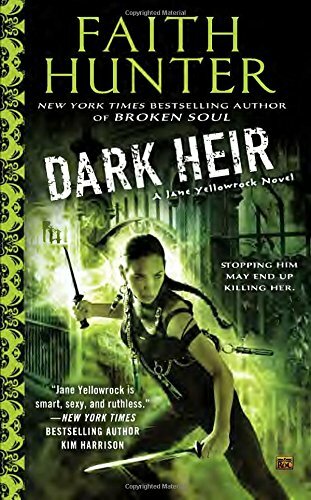 As many of you might know already, Faith Hunter’s latest Jane Yellowrock novel, DARK HEIR, is out today. Not to oversell it, but it is amazing and you must all run out and get your copy. Yes, that’s an order. I’m bossy that way. 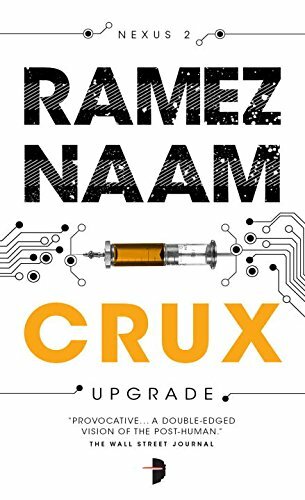 And if you haven’t already picked up Ramez Naam’s award-winning NEXUS and CRUX, now’s your chance. NEXUS was reissued last month in mass market and the new mm edition of CRUX comes out today…both just in time for the explosive climax of the series, APEX, coming May 5th in trade paperback and electronic form. And we’ve just heard about another new award nomination, so congratulations to Mez on finaling in the Grand Prix de l’Imaginaire for the French edition of NEXUS! 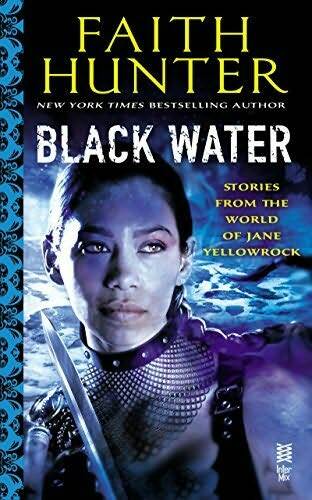 Faith Hunter is the New York Times bestselling author of the Jane Yellowrock series, the Rogue Mage novels, and the upcoming Soulwood trilogy. She lives near Charlotte, NC. In the United States, the terrorists – or freedom fighters – of the Post-Human Liberation Front use Nexus to turn men and women into human time bombs aimed at the President and his allies. In Washington DC, a government scientist, secretly addicted to Nexus, uncovers more than he wants to know about the forces behind the assassinations, and finds himself in a maze with no way out. In Thailand, Samantha Cataranes has found peace and contentment with a group of children born with Nexus in their brains. But when forces threaten to tear her new family apart, Sam will stop at absolutely nothing to protect the ones she holds dear. In Vietnam, Kade and Feng are on the run from bounty hunters seeking the price on Kade’s head, from the CIA, and from forces that want to use the back door Kade has built into Nexus 5. Kade knows he must stop the terrorists misusing Nexus before they ignite a global war between human and posthuman. But to do so, he’ll need to stay alive and ahead of his pursuers. And in Shanghai, a posthuman child named Ling Shu will go to dangerous and explosive lengths to free her uploaded mother from the grip of Chinese authorities. The first blows in the war between human and posthuman have been struck. The world will never be the same. Ramez Naam has won the Endeavor Award for his novel NEXUS (along with Ken Scholes for REQUIEM) and the Prometheus Award (tying with Cory Doctorow for HOMELAND). He’s been shortlisted for the Arthur C. Clark, Kitschies Golden Tentacle Awards and the John W. Campbell Award for Best New Writer. I’m so pleased to wish some awesome new happy book birthdays. All the birthdays today seem to have something in common…modern stories with mythic/supernatural slants. Check them out! “Cool book. Love the cover and the vibe. Will definitely read her next book in the series.” — Vanessa C.
Dragons, demons, gods, gorgons. Who will save the world…and who could destroy it? Tori wakes after Rise of the Blood to two very shocking realizations: one, she’s in bed with a very naked Apollo, having lost the fight to resist their attraction. Two, she still has her wings. Not dinky little fairy wings. Full-scale, cover-’em-with-a-trench-coat bat wings. Apollo suggests consulting the Gray Sisters on the wings. Those cannibalistic, psychopathic oracles who, even with only one tooth and one eye among them, manage to see too much. As in a Rapture, zombie-apocalypse, biblical-plague, hellgates-busted-open the end of the world. While the Sisters are perfectly on board with death and destruction, the thinning of the human herd doesn’t sit well with them at all. They’ll help her. All she has to do is save the world. Tori and her team trace the origin of the plagues to New York City, which is under quarantine and martial law—as if that’s enough to stop the influx of gods and gorgons, dragons and demons. But as death threatens from without, betrayal lurks within Tori’s ranks. And nobody is safe. Nobody. Warning: Betrayal and bad-assery, sensuality and a sizzling hot sun god. Death, demons, destruction and, potentially, the end of the world as we know it…zombie style.